In a country that loves SUVs, car manufacturers often try to give an SUV flavor to their hatchbacks and market them as supposedly rugged crossovers. The likes of Volkswagen Cross Polo, and, more recently, the Ford Figo Freestyle, are nothing but hatchbacks that received the SUV treatment. At the lower-end of the market, there’s the Celerio X. 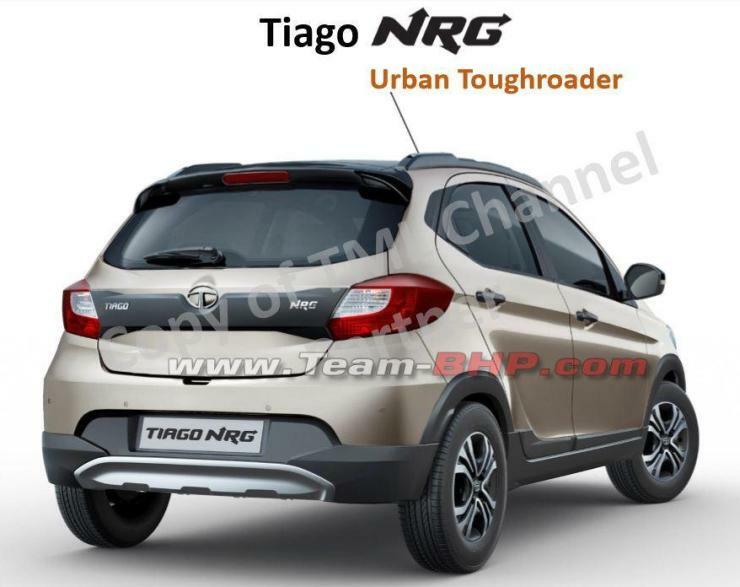 Soon, Tata will launch the Tiago NRG (pronounced eNeRGy) to rival the Maruti Suzuki tallboy. The Tata Tiago NRG is a hatchback on stilts that will launch on September 12. It will be touted as a ‘toughroader’, which will be owing to its SUV-inspired styling elements and little else. The Tiago has been selling pretty well ever since its launch and is one of the bread-and-butter models of the company. Hence, it’s not surprising to see the company planning to milk the platform to the fullest. The Tata Tiago NRG is likely to find itself slotted between the Maruti Celerio X and Ford Figo Freestyle.Apart form the new styling bits, it will also offer 180 mm of ground clearance to justify the ‘toughroader’ branding. The Tata Tiago NRG will have black plastic cladding all around. Other than this, it will also have a silver finish on the front and rear diffusers, dual-tone four-spoke 14-inch alloy wheels, smoked headlamps, plastic cladding on the tailgate, and a black-finished roof. On the inside, the Tata Tiago NRG gets grey upholstery with contrast orange stitching, silver and orange accents on the dashboard, an MID on the instrument console, cooled glove box, driver seat height adjustment, 5-inch touchscreen infotainment system, 3D navigation, and an 8-speaker Harman audio system. 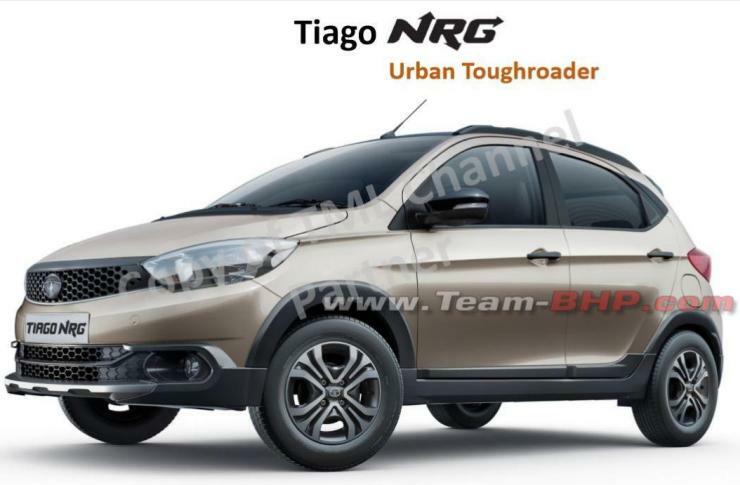 The Tata Tiago NRG is likely to launch in a single trim level. However, it will get both petrol and diesel engine options. Powering the petrol variant will be 1.2-litre 3-cylinder engine that outputs 85 PS and 114 Nm. The diesel engine displaces 1.05-litre and outputs 70 PS and 140 Nm. The engine will come mated to a five-speed manual transmission.